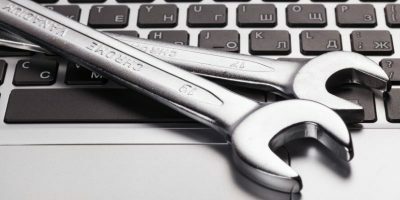 Many people today are using assistant software in their homes and offices to help with everyday tasks. There are many different models to purchase, but did you know you can build your own? 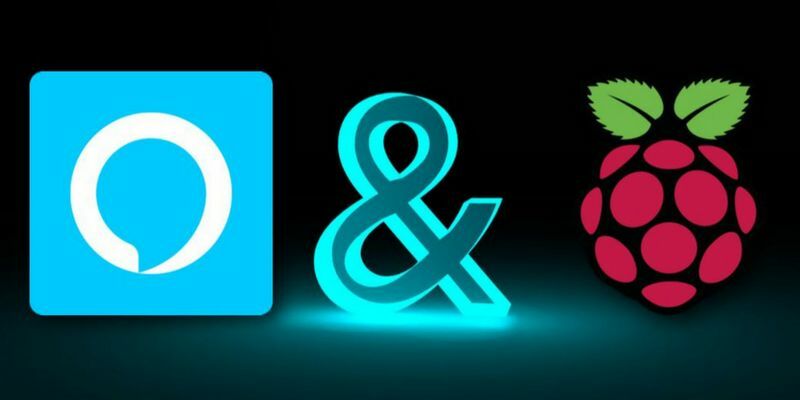 Amazon Developer allows you to use the Alexa software to create your own Amazon Echo with Raspberry Pi. Micro SD Card (Minimum 8 GB) – If you don’t have an operating system installed, there’s an easy-to-use operating system called NOOBS (New Out of the Box Software). 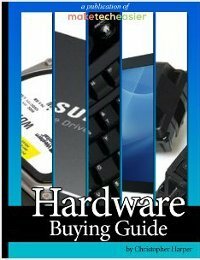 The simplest way to get NOOBS is to buy an SD card with NOOBS pre-loaded. 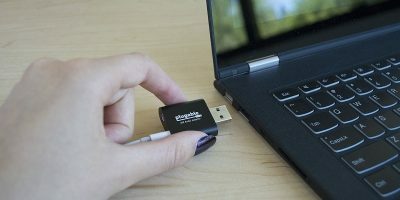 For a Pi 2 to connect to the Internet wirelessly, you need a WiFi Wireless Adapter. 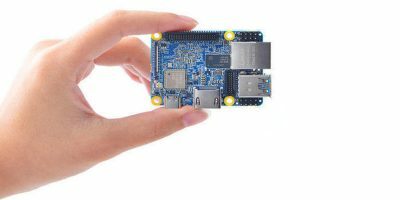 The Pi 3 has built-in WiFi. If you need an Amazon Developer account, create a free one on their page. 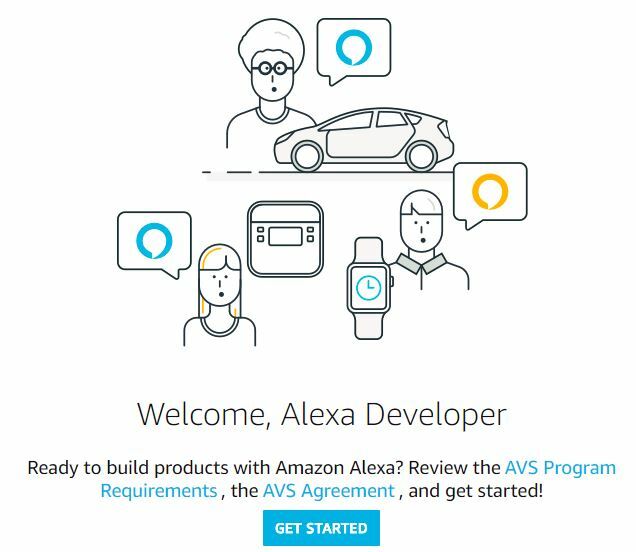 Read the AVS (Alexa Voice Service) Terms and Agreements here. 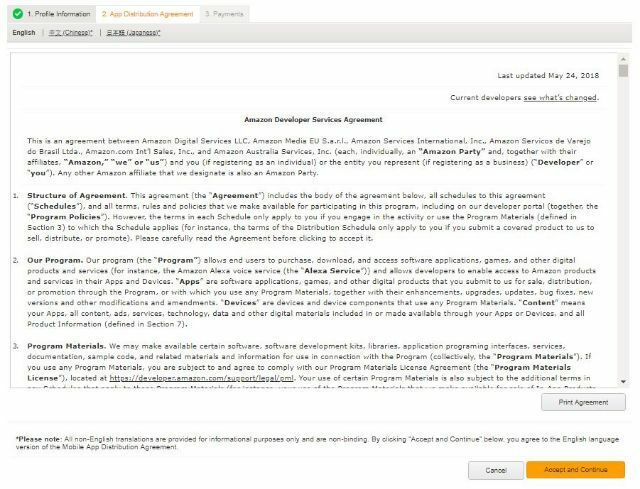 Read and accept the App Distribution Agreement. Select whether you are choosing to monetize your apps. 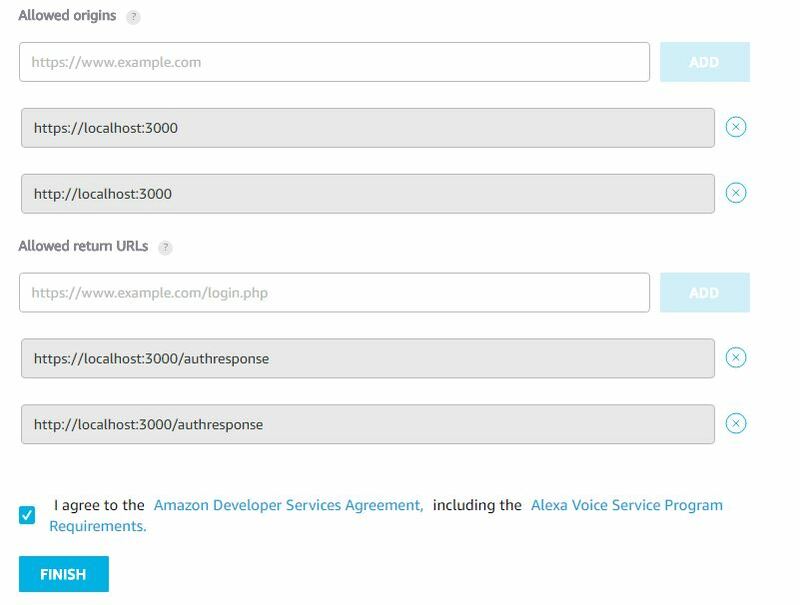 After registering your Amazon Developer account, create an Alexa device and Security profile. 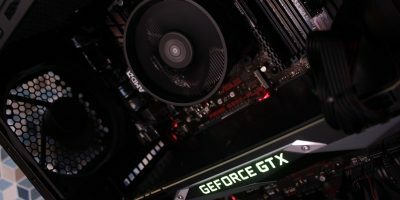 Make careful note of the following parameters as you go through the setup – ProductID, ClientID, and ClientSecret, because you need to enter these again later. The “Welcome to Developer” screen will appear. The first screen asks about the product you are building. 1. First, name your device. 2. Next, type a Product ID with no spaces or special characters. Note: You need this later. Record it somewhere. 3. 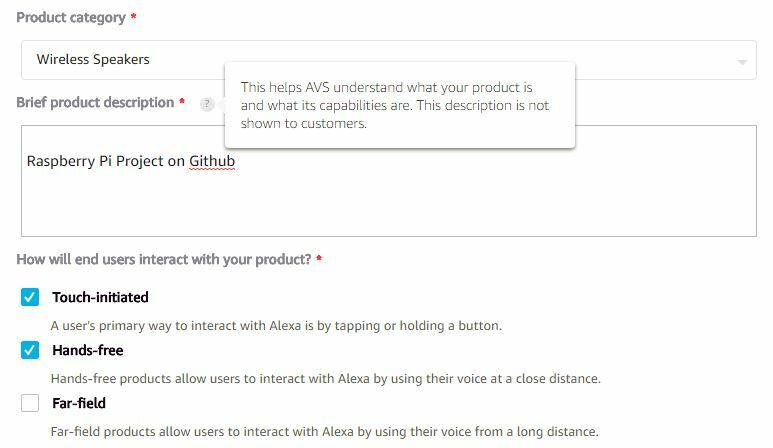 Select Alexa-Enabled Device for the product type. 4. Alexa needs a companion app. Select yes for this question. 5. Choose Wireless Speakers from the dropdown menu. 6. 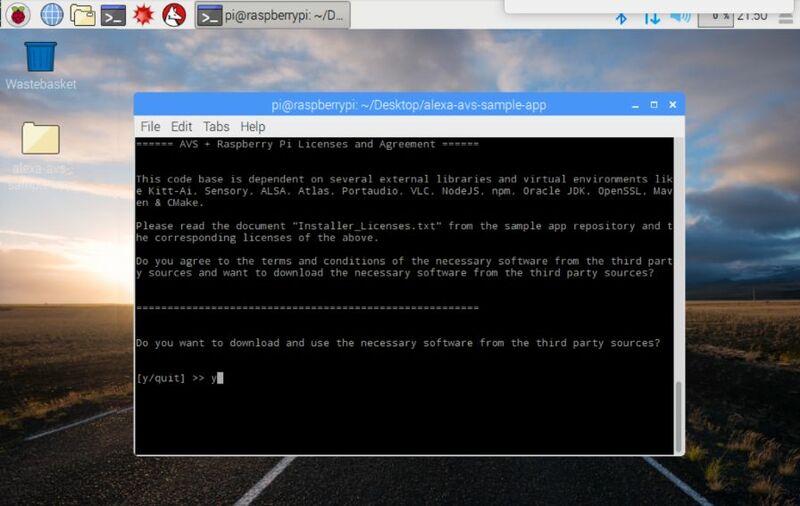 Enter “Raspberry Pi Project on Github” into the description box. This is information for AVS and isn’t visible to others. 7. Check both the “Touch-initiated” and “Hands-free” options. 8. 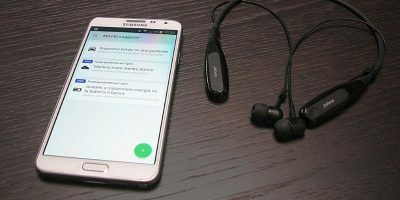 You can upload an image for your device, but let’s skip this step for now. 9. 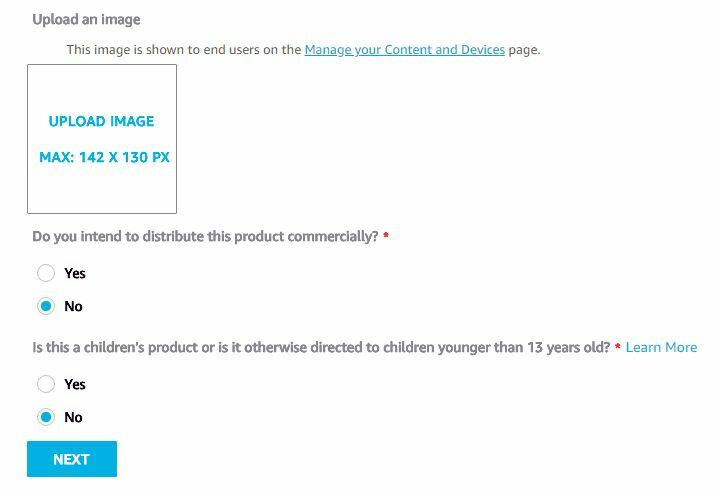 Check “no” for commercial distribution and children’s product questions. On this page, you create a new LWA (Login with Amazon) security profile to identify the user data and security credentials with this project. 5. Amazon generates a Client ID and Client Secret for you. These are the other two values you need later. Keep them nearby. 8. Type “https://localhost:3000” into the same box where you typed the first one. 11. The page should look like this before you click Finish. Make sure none of your URLs are still in the field where you typed them. They are displayed on a grey background after you add them. 12. Once you click “Finish,” this screen appears. Your project has been created and is ready to install. Before you run the install script, update the script with the credentials that you recorded from Amazon — ProductID, ClientID, ClientSecret. 2. When it runs, this screen appears. 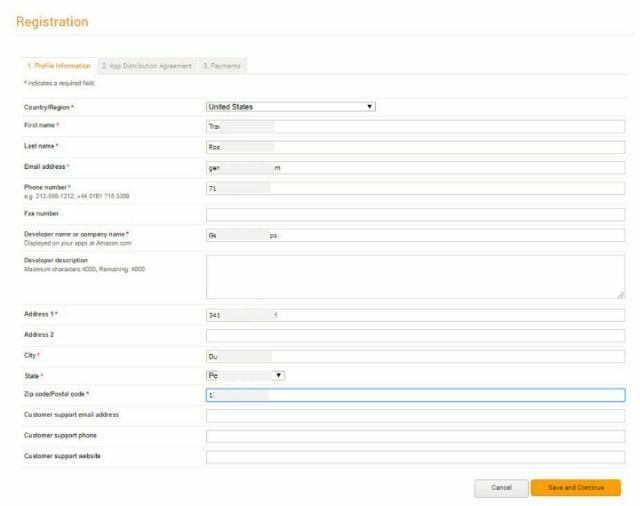 Use the arrows on your keyboard to navigate, and replace the fields for ProductID, ClientID, and ClientSecret with your values. 3. Type Ctrl + X to exit the script. Type Y and then Enter to save your changes. To run the script, open Terminal and run the following commands. While this script is running, you will be asked to answer some simple questions. These are to make sure you’ve completed all of the necessary setup on Amazon before you install the program. The installation is about thirty minutes, so go grab a snack. When installed correctly, your terminal window will look like the following image. 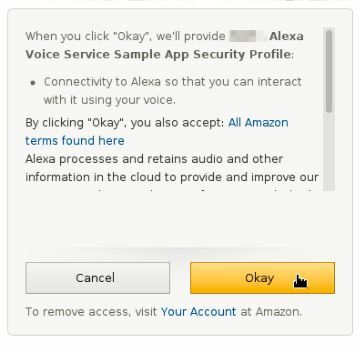 You must complete three steps to run the Alexa app. Each of them must run in a separate Terminal window, and you must do them in the correct order. There were some programs that I needed but didn’t have. I installed these programs as I went. In case you have the same problem, I included a side note about this in each step. When the scripts finish, the window looks like this, showing that Pi is listening on port 3000. Don’t close this window. It needs to remain open while completing the next steps. This window communicates with AVS. Type the following into another Terminal window. Note: mvn is short for Apache Maven. If you don’t have it, click here to get started. 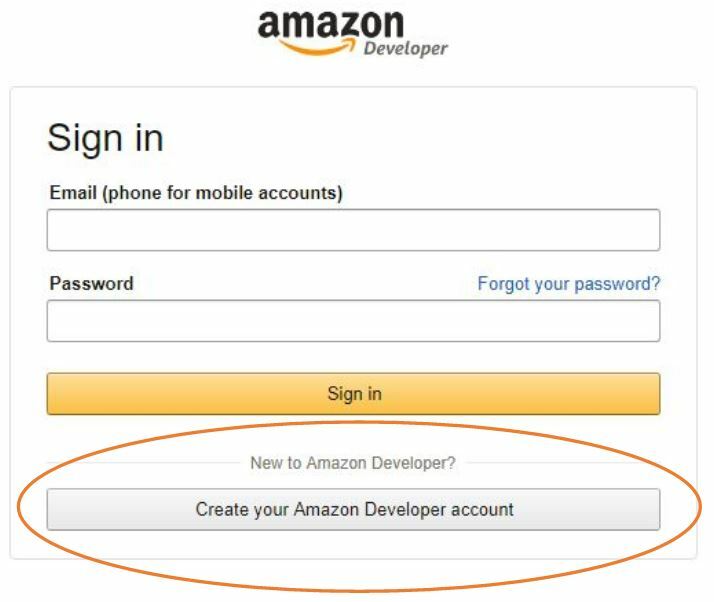 Now, log into Amazon using your developer credentials. 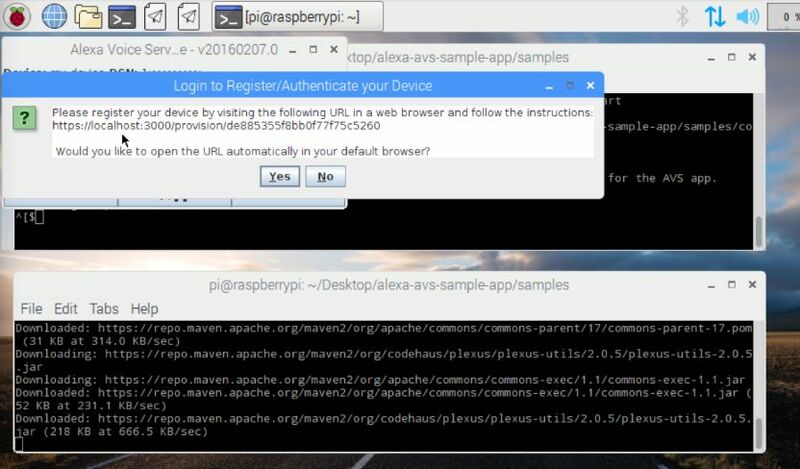 The next screen asks for permission to use the security profile you created earlier for the device you are registering. Click Okay. You will be redirected to a URL beginning with “https://localhost:3000/authresponse” that looks like the following image. Go back to the open dialog box and click the OK button. 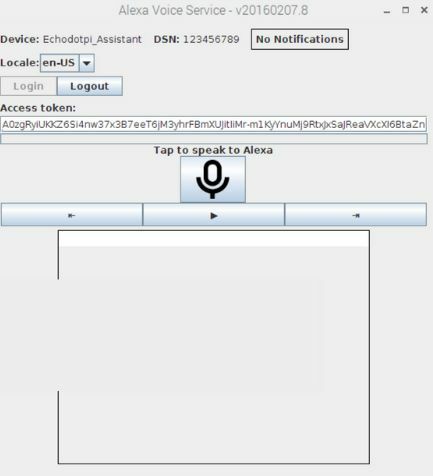 The client is now able to accept requests from your Alexa device. 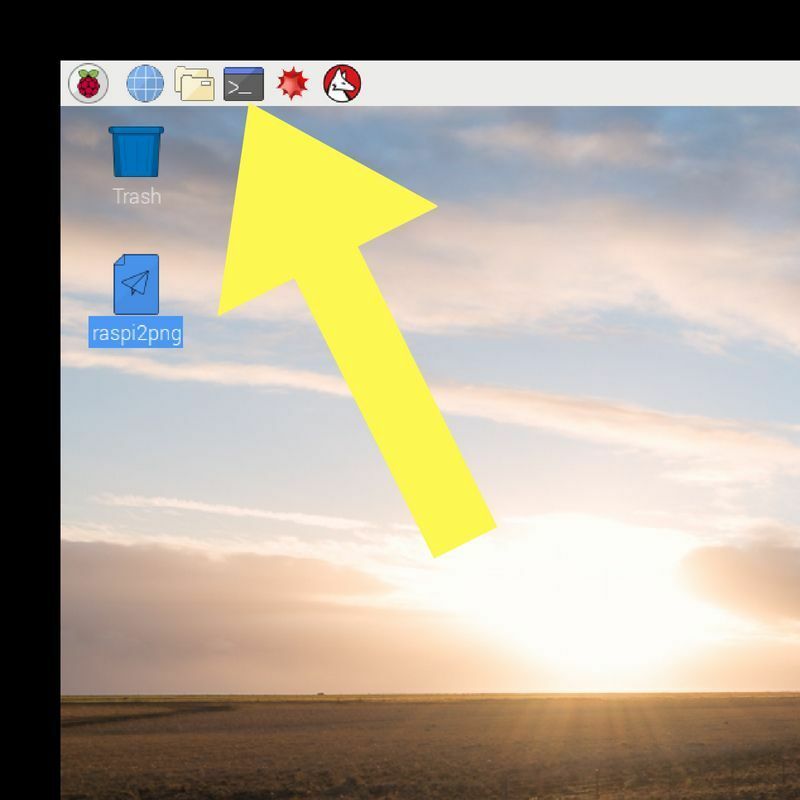 Keep the terminal open as well as the Voice Service Dialog box. 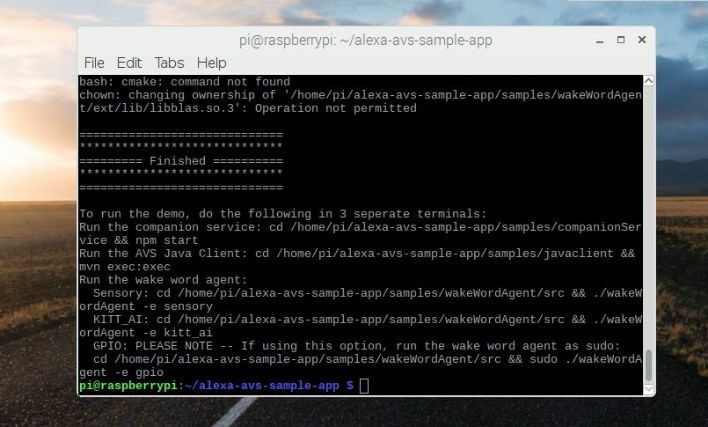 This window installs the application that wakes up Alexa by using her wake word. Skip this if you don’t want to use voice to initiate Alexa. 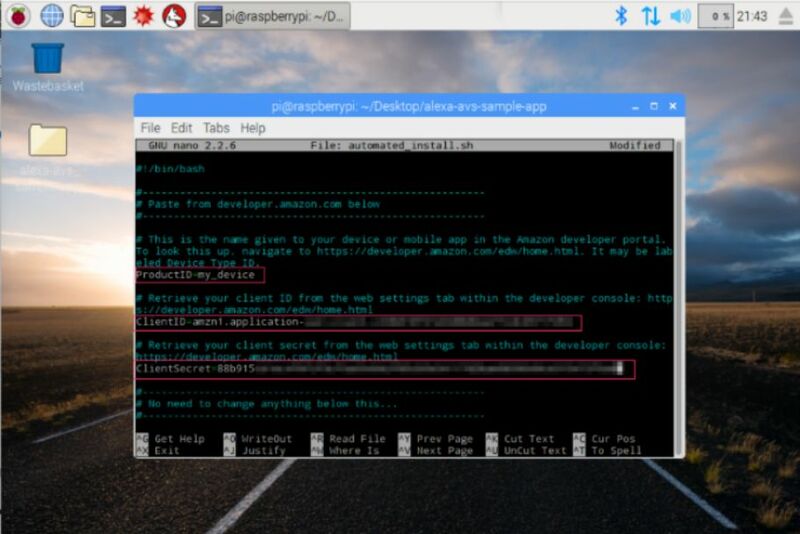 Open a new terminal window and use one of the following commands to bring up a wake word engine using Sensory or KITT.AI. If she responds correctly, you have a working Alexa device! Check out Amazon’s Alexa webpage for more ideas. This Alexa can do everything an Echo can do!